New Zealand is the birthplace of the bungy jump, so to go home without doing one would almost be an insult to the country and an insult to your gap year. On a brighter note, it’s extremely easy to find a good bungy jump. Because New Zealand is very pleased by the fact they gave the world this awesome adrenaline activity, there is pretty much a bungy jump around every corner. 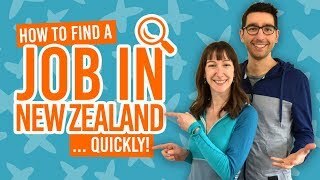 Whether its jumping into the ocean, jumping into a river, jumping in pairs, doing the highest jump or the smallest jump, New Zealand will accommodate your jumping needs. Just to give you an idea of the bungy jumping possibilities in New Zealand, here’s a list of some epic bungy jumping locations. If you have a “go big or go home” mantra, then how about doing the third highest bungy jump in the world? Jump from 134m from the stunning Nevis canyon on the Nevis Bungy. Even getting on the gnarly Nevis Road is an adrenaline activity! For more fun things to do in Queenstown, see 10 Queenstown Must-Dos. The Auckland Bridge Bungy gives you the chance to plunge into the ocean from a great height – 40m to be exact. Leap with a view of the big city while local boaties cruise past and question your sanity! Find out more awesome things to do in Auckland in 8 Adrenalin Activities in Auckland. Submerge into the water from 47m by yourself or with a friend. It’s nice to share the feeling of exhilaration… or pure fear. Plus, you can dunk your head for a refreshing finish! Find out more about things to do in Taupo in our Taupo – Guide for Backpackers. As the lowest bungy in New Zealand, it’s best to just tell people at home that you did a bungy jump – don’t go into details… Nevertheless, the Hanmer Springs Bungy from a historic bridge in an alpine river valley setting is a pretty stunning jumping location! 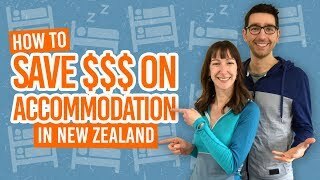 Find more awesomeness in Hanmer Springs – Guide for Backpackers. Where it all began: you too can jump from the world’s first commercial bungy jump, which launched in 1988. The Kawarau Bridge Bungy still a majorly popular place to jump today, and is definitely an awesome option for those ticking items off their bucket list! Bungy jump however the hell you want. The Ledge Bungy is attached around your waist allowing you to spin/flip/fall in your own way. Try jumping at night to see the lights of Queenstown as you fall.